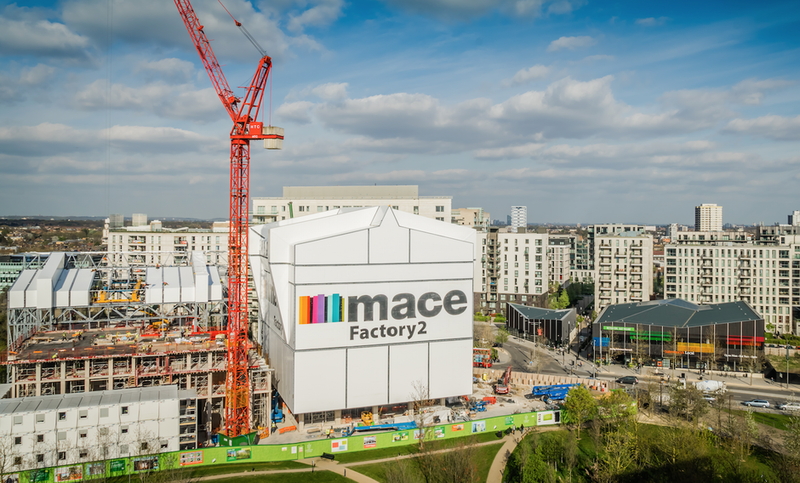 Mace East Village Rising Factory - London, U.K. 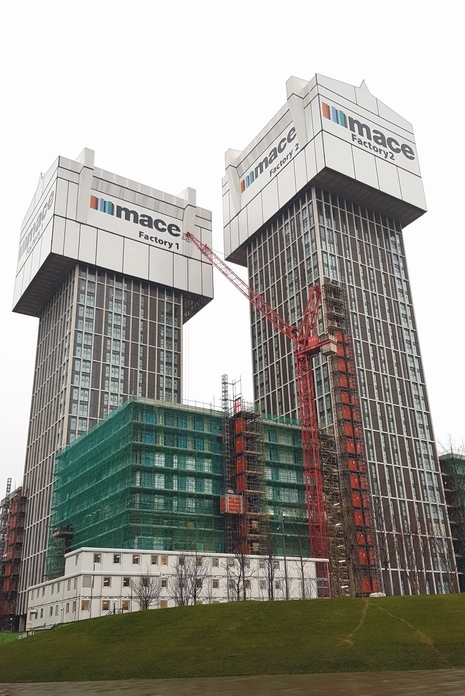 In 2016 DLT were awarded the contract by Mace Limited of United Kingdom to supply 2 No Pinned Climbing Jack Systems and Engineering support for the construction of twin 30 storey residential towers at East Village, Stratford, London. 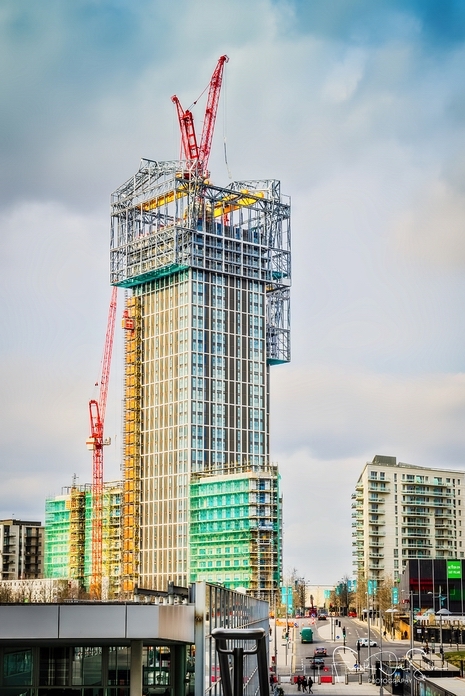 The project involved the construction of two high rise residential towers using pre-cast concrete construction. 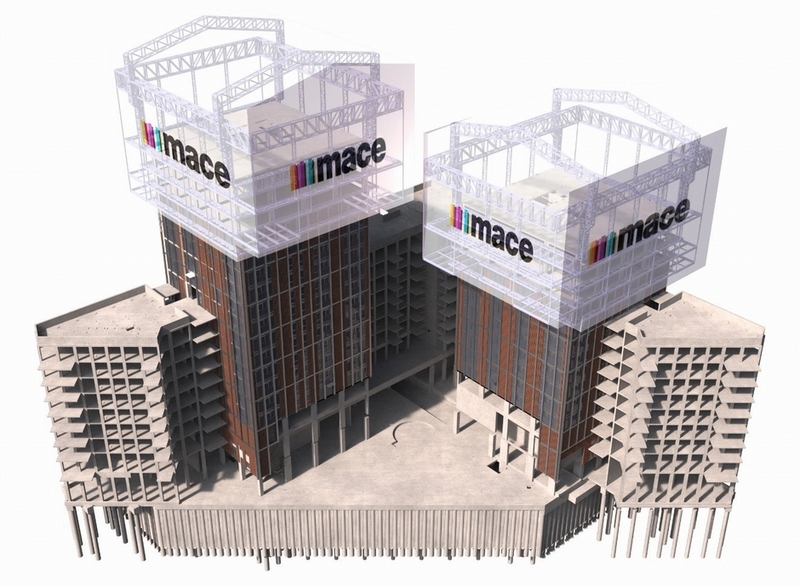 The 'rising factory' concept was used to create a waterproof factory environment for the construction of each floor. 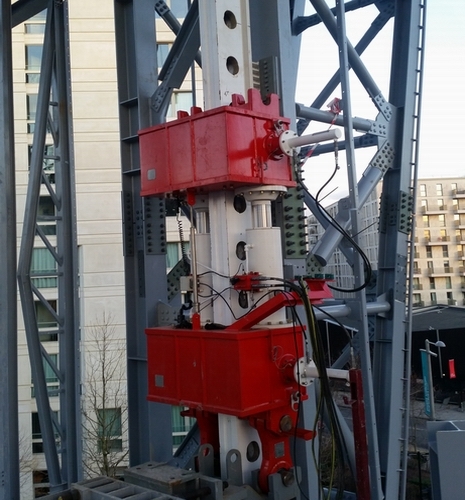 The scheme used a temporary steel framed factory building erected over the top of each residential tower during construction. Each factory included two 15 tonne capacity overhead gantry cranes for materials handling and various levels of platforms for welfare facilities and materials storage. The factories were used for the construction of the structural columns and floor at the top and installation and sealing of the external cladding below. Construction of each tower progressed generally at a rate of one floor per week. 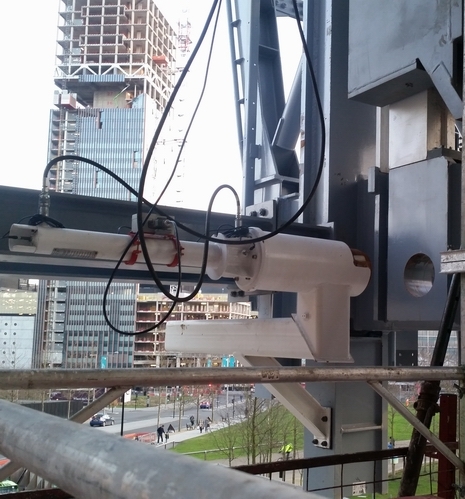 After each floor had been constructed the temporary steel ‘rising factory’ was lifted about 3.3m by the 4 x DL-CP250 pinned climbing jacks which remained static but lifted the climbing bar connected to the rising factory, allowing the next floor to be built. 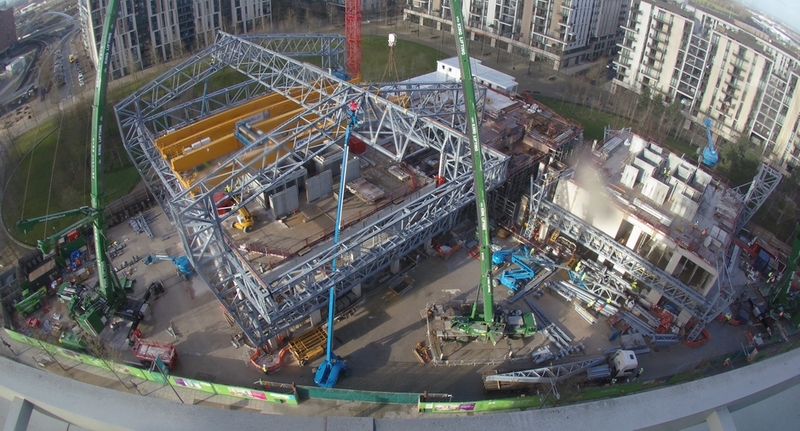 The total weight of each rising factory during lifting was approximately 900 tonnes.